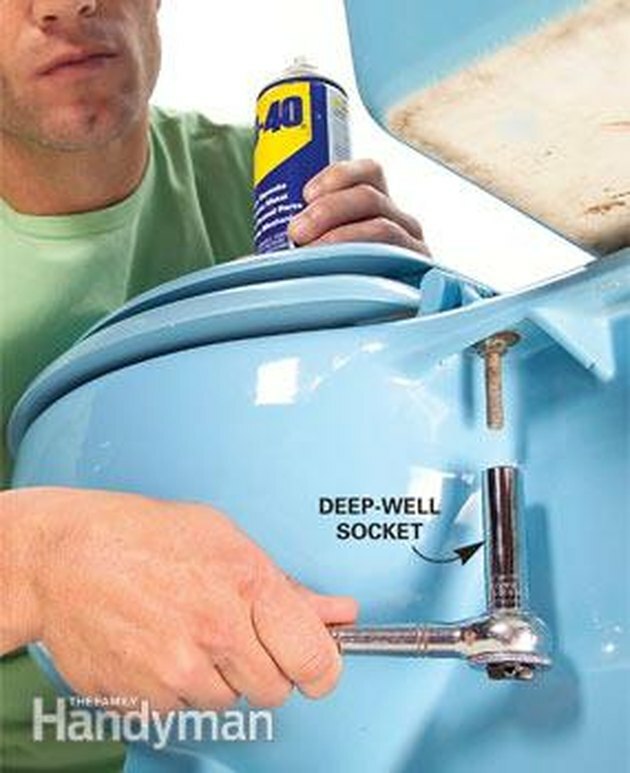 Installing a new toilet seat is an easy two-minute job: Just set the seat in place and tighten the nuts. Removing the old seat, on the other hand, can be a frustrating ordeal. 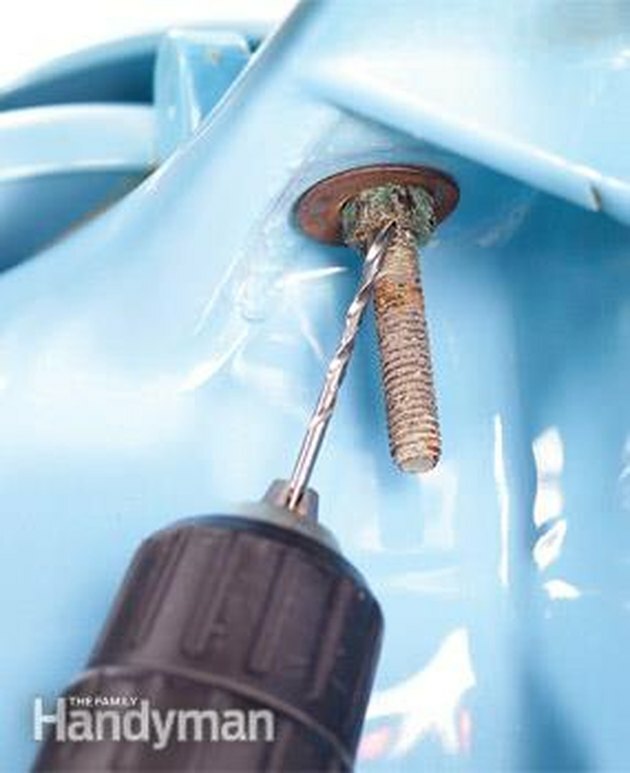 Often, the bolts that fasten the seat are so corroded that you simply can't unscrew the nuts. But there's no need to worry—we have the solution. First, take a look at the bolts that secure the seat. If the bolts or nuts are plastic, they can't corrode and will come off easily. Simply pry open the cover behind the seat to expose the bolt's head. Unscrew the bolt with a pliers or a screwdriver while you hold the nut underneath with the pliers. If the bolts are metal, you might be able to unscrew the nuts with a pliers, but the best tool for this job is a socket wrench equipped with a deep-well socket. Most toilet seats require a 1/2-in. socket. The deep socket fits over the long bolt and grips the nut tightly. Most metal bolts aren't covered by a flip-open cover; all you have to do is turn the nut counterclockwise. Go ahead and twist as hard as you can. If the bolt is brass or badly corroded steel, you might break it off, which is just fine. If the nut won't budge, douse it with a penetrating spray lubricant such as WD-40. Hold a rag behind the nut to catch the overspray. Give the lubricant 15 minutes to penetrate, then try again. If the bolt spins as you turn the nut and doesn't loosen, or the bolt just spins, go to the next option. If lubricant won't free the nut, grab your drill, drill bit collection and safety glasses. Using a 1/16-in. bit, drill into the bolt where it meets the nut. Drill 1/4 in. into the bolt. Next, enlarge the hole with a 1/8-in. bit, followed by a 3/16-in. bit. Then try the socket wrench again. Your goal now isn't to unscrew the nut but to break off the bolt as you turn the nut. If the bolt won't break, keep enlarging the hole. Eventually you'll weaken the bolt enough to break it. Have the necessary tools for this DIY project lined up before you start—you'll save time and frustration.